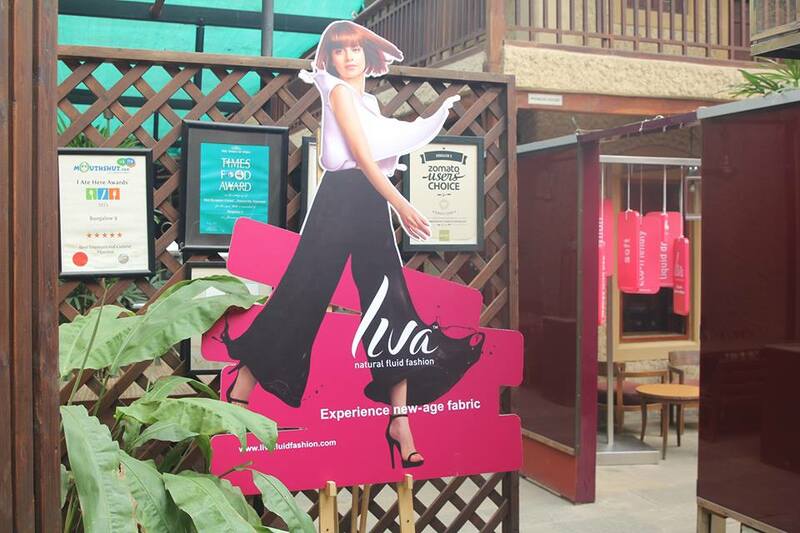 At a recent wine and dine organized by LIVA at Bunglow 9, Bandra I had my first fluid fashion experience with this 100% natural and eco-friendly fabric. Bloggers and brand evangelists came together and celebrated the first #UnboxWithLIVA evening dressed up in their favorite LIVA outfits. 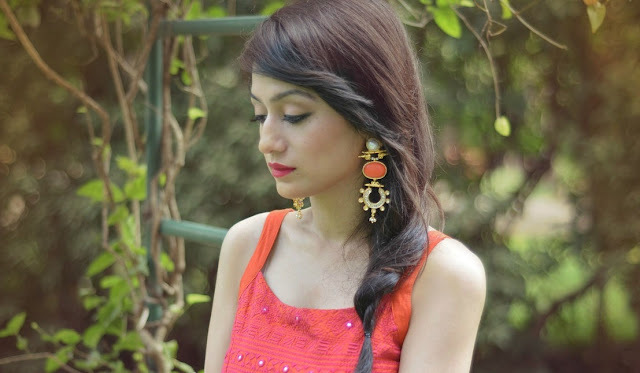 For this occasion, I chose this orange and pink dress from Global Desi which was lightweight and extremely comfortable, a big respite in Mumbai’s humidity. LIVA is made from natural fibres which are produced from wood pulp, a natural renewable resource. The pulp used is from trees which are specifically grown for this purpose i.e. more new trees are planted than trees are cut. It gives the earth a much-needed green cover, saves 6-7 times more land in comparison to cotton, and saves 3-4 times more water than usual. Head over to LIVA’s website to know all the brands that retail Liva garments and try this revolutionary, naturally created, breathable fabric yourself. Lovely outfit,.. but I'm eyeing for your earing,.. Its stunning,..
loved your danglers soooo much..looking pretty.